Store Category Sorting and Browsing is a powerful feature that makes Zazzle stores easier to navigate for customers, and easier to merchandise and promote for Designers. How does it do that? What Can a Store Owner Do? Store Owners can set the display order of all categories and products within their store. Store Owners can upload icon images to represent any category in their store, or use a default image generated by Zazzle. Stores can be set to display a scrollable list of categories, or a fully expanded list of categories. Give Customers the ability to sort products in a store by Newest, Popular, Alphabetical, and Reverse Alphabetical, Views, Comments and Likes. Clicking on any one of those icons would take you to that category within that store. It's important to note that although categories are similar to folders on a computer, they behave slightly differently in that each category displays all products contained within it AS WELL AS all products within each sub-category. 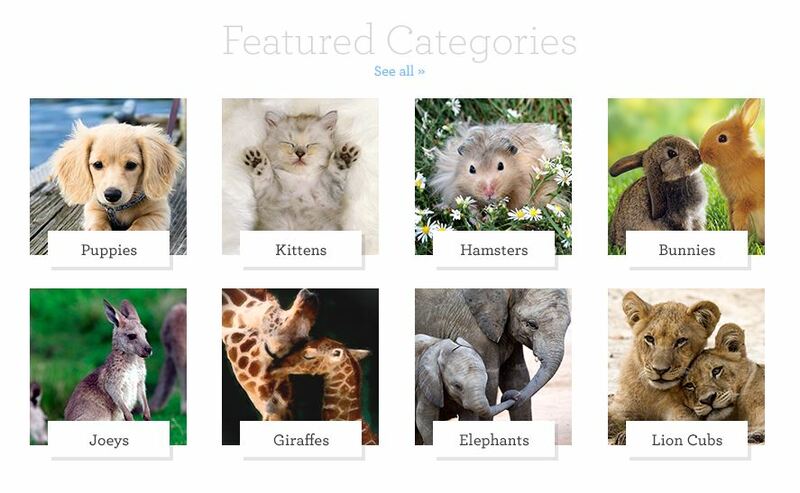 For example, a category called "Animals" may have sub-categories named "Cats" and "Dogs". When you view the "Animals" category, all cat and dog products will be shown, as well as any products in the "Animals" category itself, but when you view the "Cats" category, only cat products will show. Go to your Public Products page, click on "All Categories" in the left-hand navigation, and click on "Add new category" under the "Store Categories" title. A dialog appears where you can enter the Category name, description, and assign an icon. Click on the "Change" link under the folder icon to use an icon you created. Square, 158 x 158 pixel images work best. The final image will automatically be squared. Click "Done" and your new Category is created! Of course, creating categories and changing their icons is just the beginning. Once you have added products to a category, you can now easily sort them in whatever order you want them to appear in! A set of basic sorts are available for each product category in your store. These include Newest, Popular, Alphabetical, and Reverse Alphabetical, Views, Comments and Likes. Select these from the dropdown within the category.